Breakfast with Pandora Books, 9780996693301, 272pp. In 500 BC, the dream of Rome is small enough to fit in the heart of one youth: Lucius Junius Brutus, Master Mage of Rome. But that dream is in jeopardy: Etruscans have stolen King Numa's staff and shield, the sacred symbols that guarantee Rome's future greatness. 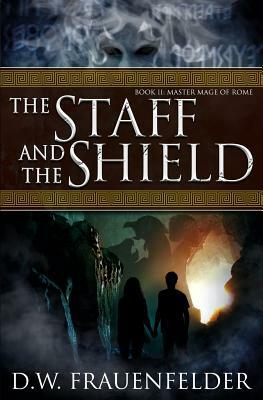 Lucius and his Greek friend, Demetria, must recover the staff and shield and protect the shrine of Numa, where Lucius has realized the power of the Latin language. Mirror-wielding seers, underworld monsters, and even a goddess of death oppose Lucius and Demetria, but the greatest challenge may be saving Demetria from an arranged marriage. How far will Lucius, Master Mage of Rome, have to go to save both the city of his heart and his dear friend?